Jose Murinho’s team Manchester United currently standing on the 5th Position of the Lague table and in the 30th match of the season, they will play with West Brom, who’s are on the 8th position on the league table. Manchester United Vs West Bromwich will play the match among them at Old Trafford (Manchester) on 01/04/2017. Also at the match day the match will kick off at 20:00 BST or 14:00 GMT. In last 5 matches in Head to head of Manchester United and West Brom, both have 2 wins and 2 defeats. Where, one was drawn as well. The only meeting of the season among them, Manchester United won by 0-2 goals. 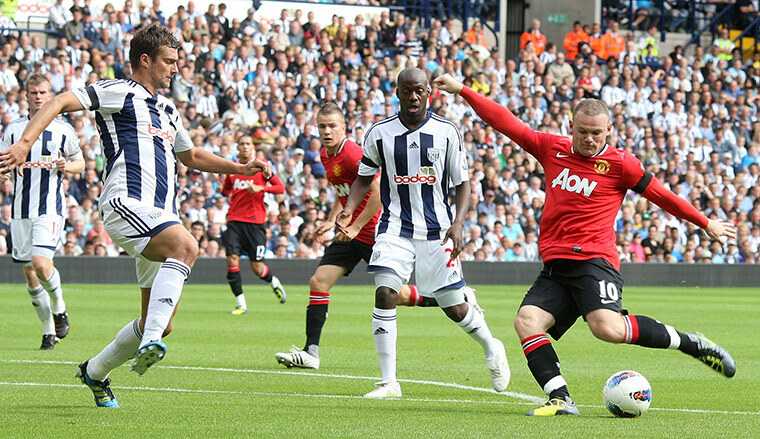 Manchester United last time defeats to West Brom at home on 2014-15 in League. So far 110 Head to head has been recorded of them, out that 50 wins for Manchester United and West Brom won in 35 matches. United have no defeats on last 5 games, either 2 drawn. Out of 3 wins, last one came Vs. Middlesbrough. Other hand, 2 wins and 2 defats besides one drawn for west Brom in last five matches in league. E Bailly, C Smalling, D Blind, D de Gea, W Rooney (captain), M Depay, Marcos Rojo, Phil Jones, S Romero, J Mata, A Valencia, L Shaw, M Fellaini, Z Ibrahimovic (third captain), W Keane, Anthony Martial, Paul Pogba, J Wilson.